Sony’s anti-hero, Venom, is huge, intimidating and ready to eat your brains right out of your skull. Sounds like a certain football team’s fan base, right? Set within the Bay Area, NFL greats Randy Moss and Charles Woodson hit their former stomping grounds to head up a search for a new mascot—one scary enough to represent this fan base properly. 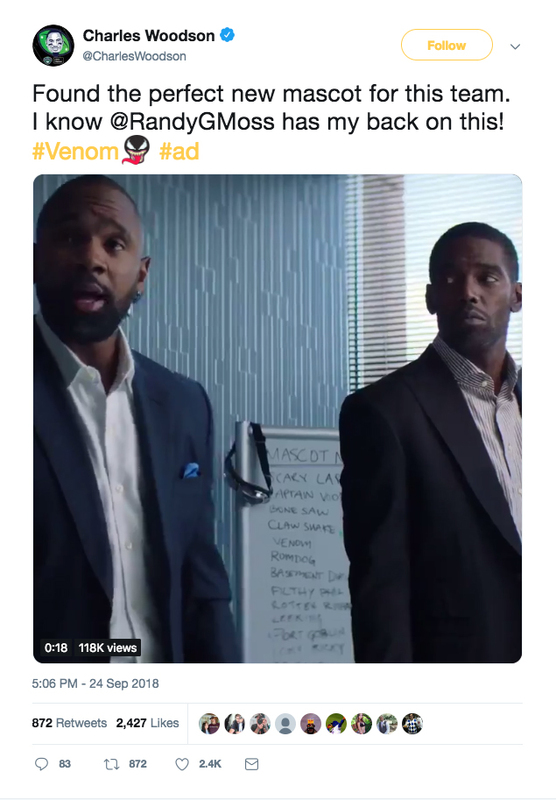 The results of the focus group are undeniable, and football fans everywhere got excited to see the terrifying new mascot in action in Sony’s feature motion picture, Venom.